It's date night and Matt and have been invited to dine at Hicksons Izakaya. We stroll along the beautiful suburb and look at all the theatre patrons. It's a warm night but slightly overcast. Regardless I enjoy the view. Hello my meat loving and sushi friends. If you have been craving an all you can eat dinner full of sizzling meats and sushi/sashimi - I've got the place for you to book. Suminoya is in Sydney CBD and has high quality ingredients waiting for you to eat. A friend of mine was visiting from interstate and we decide to catch up over some yum cha at the Sky Phoenix at Sydney Westfield. I quite like Sky Phoenix because it is such a large venue and I can always get a table. Something's Cooking in Alexandria is the local pizzeria and I can see people walking in and out ordering pick up pizzas on their way home. I love the smell of pizzas as I walk into any pizzeria. Pho and Go is a Vietnamese Restaurant - street food style in Randwick. It's great for a quick bite to eat for all those fresh and vibrant Vietnamese flavours. Local Mbassy is a cafe in Ultimo which has modern and tasty treats in store. MW and I check it out one Sunday morning to see what all the fuss is about. You should check out their amazing photos on instagram. Beer lovers rejoice! It's time for craft beers matched with delicious food at Redoak Boutique Beer Cafe. What a lovely little pub that delivers refreshing beers and quality food to match. Matt's eyes are open with excitement. The Australian Good Food Guide introduced us to Redoak Boutique Beer Cafe. Thanks! North Bondi RSL is well positioned with gorgeous beach and ocean views. MW and I head there just on the border of breakfast and lunch on a Sunday afternoon. North Bondi has a breakfast menu served until 12pm and then the lunch menu is available from 12pm onwards. I had the pleasure of indulging in some dumplings at Neil Perry's new venture - Jade Temple which is the sister restaurant to Spice Temple. At lunch time, their yum cha menu is available so Matt and I hit the new venue on a lazy Sunday afternoon. As I entered, I could see Neil Perry at one of the tables. I felt slightly star struck. I did see Neil Perry at Burger Project once as well when it first opened in World Square and had a similar feeling then as well. Degani is a casual restaurant located outside of the East Village shopping complex in Zetland. The menu is quite extensive and if you're really hungry - you may be tempted by one of their epic meat towers for two. I stop by for a date night with MW one Saturday afternoon although we do not dare try the epic meat tower - we are looking forward to a nice meal. I Love Pho is a great authentic restaurant located in Crows Nest. Beyond the classic noodle soup dish of Pho, the menu at I Love Pho is quite extensive and has a lot of my favourite Vietnamese dishes. I order all my favourites as part of their new signature menu. Lumi Dining has a stellar reputation in the Sydney dining scene and Matt has been wanting to go here for some time. I took him out to Lumi Dining for a nice lunch for his birthday. I had such an amazing lunch here last time Mel took me that I knew he would enjoy Lumi. If you haven't been to Cabra-vale Diggers for some time, you should come back and check out their new $18 million dollar renovated venue including the brand new spanking dining area called "District 8". I went there for a family meal and was eager to see what has changed. Matt and I are local to the Ryde area and on date night, we decide to check out Bondi Pizza. It's a Friday night so the venue is buzzing. I am feeling a bit cold tonight so I am hoping for a seat inside. I've never experienced Teppanyaki before. Recently, True Local hosted a food safari including a teppanyaki experience at Hisshou Teppanyaki. I was excited. Along with other reviewers of True Local, we are seated around a hot iron plate in Haymarket. Come on Barbie, let's go party. Who's ready for some Karoake fun with a side drinks and Korean/Japanese food? I check out The Nolza recently along with Matt and a few other singing friends. We got a room straight away thanks to Qtix - an app which allows you to digitally queue up. On a particularly stressful Friday lunch, I head to Yoksod for a thai lunch for a $13 with your choice of main and drink (house beer or wine). Yoksod is located within the bar Mr B's which is on the corner of Pitt St and Goulburn St. Restaurant Plage is my favourite restaurant of 2017 so naturally this calls for a revisit to see what's on offer for the Spring menu. There's a level of sophistication, flavour, balance of texture and technique that I am such a fan of at Restaurant Plage. With Japanese flavour inspirations infused with french technique in cooking - this makes for such a high quality meal. Bodega has been on my wishlist for some time. I had heard lots of great things and my work colleague suggested we head there for a nice dinner. Nestled in Surry Hills, Bodega is a cosy little restaurant. As I want to see all the action, RR and I sit at the bar. Nostimo Cafe is a cosy little cafe in Malabar in the Eastern Suburbs. I drop by with MW and we catch up with Tony Hollingsworth for a chat about life and food. From the outside, it looks like a tiny cafe but the menu packs a nice punch of variety. So next up on the Taste Food Tour is the Spice of Life. Have you heard of Taste Food Tours? They are a not-for-profit organisational the promote diversity and cultural harmony. Their Harris Park tour is a cracking tour and full of new things to try if you are not familiar with Indian cuisine. Next up is the Taj Bhavan on the Taste Food Tour. Have you heard of Taste Food Tours? They are a not-for-profit organisational the promote diversity and cultural harmony. Their Harris Park tour is a cracking tour and full of new things to try if you are not familiar with Indian cuisine. I'm really enjoying the Taste Food Tour so far in Harris Park. I had quite a bit to eat at the first stop and second stop so I am almost full however I will try and pace myself moving forward. Have you heard of Taste Food Tours? They are a not-for-profit organisation that promote diversity and cultural harmony. They aim to support local cultural hubs. The next stop is Velsha's Indian Take Away. I decide to check out the Harris Park Food Taste Tour. The Taste Food Tours is a not-for-profit organisation that is designed to promote diversity and cultural harmony. 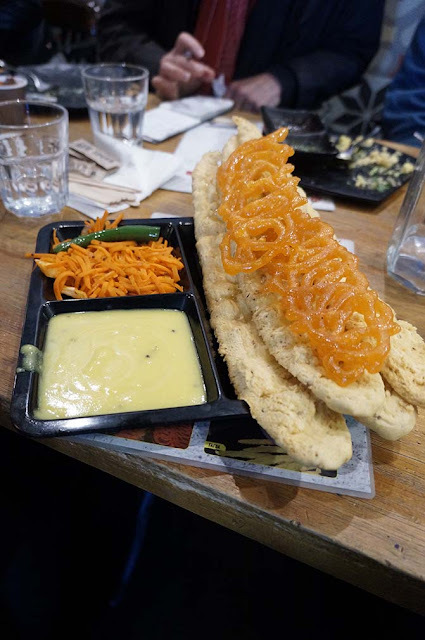 After a cracker of a start with some Indian street food, it's now time to experience some desserts. Next stop is Chatkaatz Sweets in Harris Park. I must confess, I am no expert when it comes to Indian Food so MW and I decide to check out the Harris Park Food Taste Tour. The Taste Food Tours is a not-for-profit organisation that is designed to promote diversity and cultural harmony. Today, we venture out into the suburb of Harris Park which is known for it's authentic Indian Food. For a touch of indulgence, many may not know about Cucina Locale Revolving restaurant in Blacktown. West is Best. Yes the restaurant rotates so you get amazing views. The Australian Good Food Guide facilitated a lovely lunch for Matt and I recently. "Meet Mica" is located in Surry Hills and I predict future long lines. Why? Because it's got the X factor. There's high quality coffee from the little marionette and a delightful Asian Fusion menu. You'll often see a large queue outside Haven Tailoring Coffee Joyously even with all the light rail work that hides most of the area. I come back for some brunch with Matt on a cold and windy day. 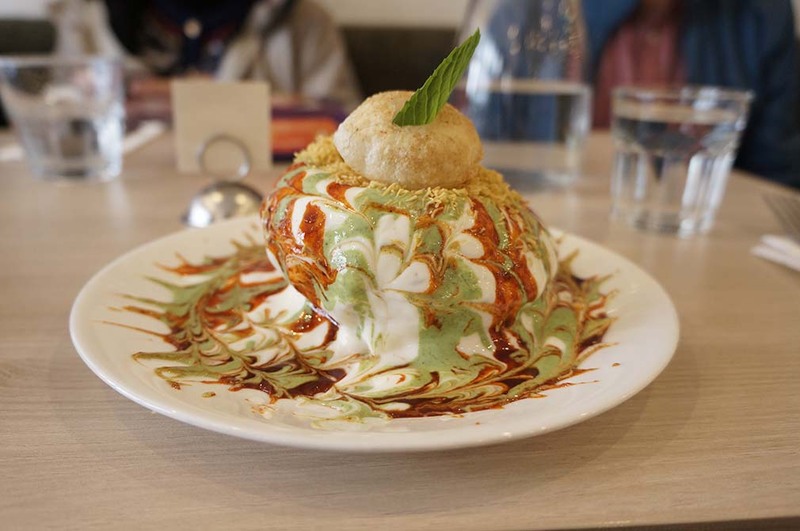 Passion Tree is an Asian dessert cafe which has very foodgasmic instagram photos! Who has a sweet tooth? MW and I have walked past here before and it's been on the list to check out. The locals know One Penny Red well though as they are known for modern, fresh and innovative dishes. I must admit, I am unfamiliar with the area of Summer Hill. So when MW and I ventured into One Penny Red, I wasn't sure what to expect. I think I've uncovered a hidden inner west gem. I love the buzz from the Canley Vale and Cabramatta and all the Vietnamese delights that always bring my childhood to life. But for a slice of cafe life, the locals always head to the Weston Eatery. The Weston Eatery is a sleek and modern cafe that brings modern twists to cafe favourites. Moroccan Feast is a unique and cultural restaurant located in Randwick with decore furnishings all from Morocco. 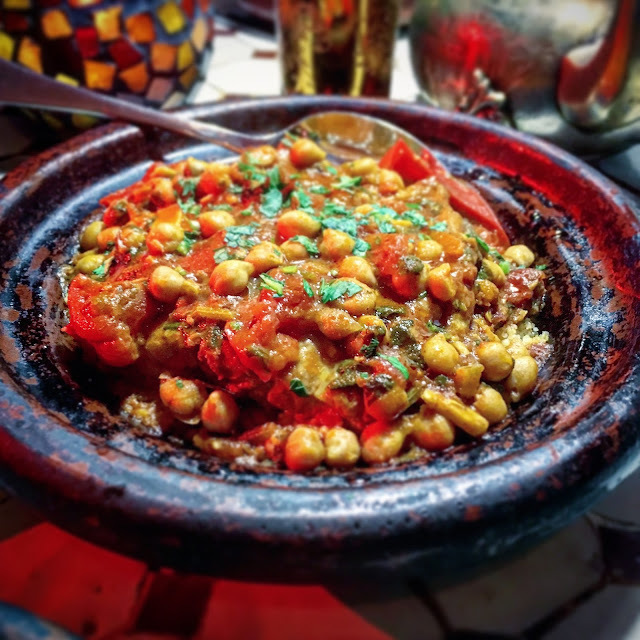 It's quite rare to find a Moroccan restaurant in Sydney. Think African influences of spices, earthy and bold flavours. Steph and I check out the cosy cafe called Frankie's Beans recently. Coffee fans, have you heard of Frank Andrews Australian International Award Winning coffee beans? Frank has a whole sale business in selling his coffee but has also recently opened up a cosy little cafe where you can find his coffee and some cafe culinary delights. The final stop of the Chinatown Taste Food Tour is at Le Mesa which is a Filipino restaurant. 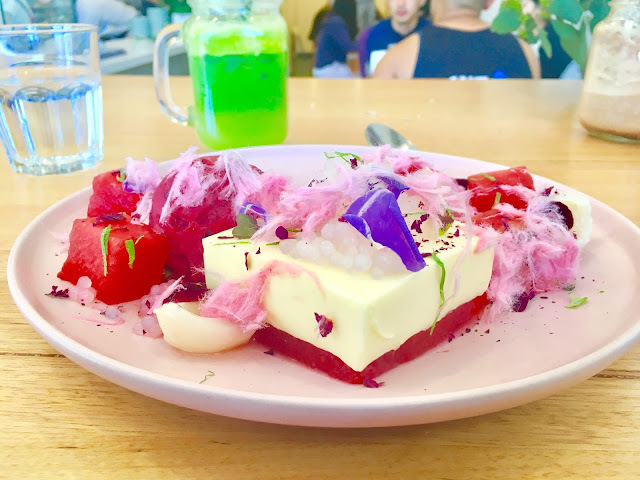 Taste Food Tours is a not-for-profit organisation that promotes diversity and cultural harmony with any profits going back into the cultural hubs in Sydney. I am a massive fan of hand made noodles and dumplings. So I was very happy when we were heading to Noodle King as one of the venues as part of the Taste Food Tour. Next stop on the Taste Food Tour is a visit to the Sussex Centre Food Court. The group are all big fans of Korean Fried Chicken. I have been to the Sussex centre food court a few times and have often been tempted to head to Sparrow's Mill Express as it's famous for it's Korean fried chicken. I've had the pleasure of tasting this chicken in Strathfield before. The next stop on the China Town Taste Food Tour is Topotea in Haymarket. Topotea is located in the Sussex Centre and has a special range of teas. Have you been on a Taste Food Tour before? These tours are great for discovering an area that you may not be familiar with or with a cuisine(s) that you want to learn more about. Taste Food Tours are a not-for-profit organisation that aims to promote diversity, harmony and gives back to local diverse communities. This is part 2 of the China Town Taste Food Tour.